Overuse of the internet is causing mental health problems for children, government health advisers have warned. Each hour spent in front of a computer puts them at greater risk, they say. As a result, children face mental illnesses and social problems such as loneliness, depression, anxiety, low self-esteem and heightened aggression. Public Health England, which issues guidance on good health to the NHS, says there is a clear relationship between the amount of time spent on social media sites such as Facebook and ‘lower levels of well-being’. The link becomes particularly striking when children spend more than four hours a day in front of a screen – but it kicks in even at very low levels of use. In a damning dossier the health body lays bare the worsening toll of mental health problems on our children, saying computers and the internet are largely to blame. Its report, submitted to MPs, warns starkly that huge improvements in children’s wellbeing over the past two decades had now been ‘curtailed and may be in reverse’. One in ten children now has a mental health issue, and a third of teenagers feel ‘low, sad or down’ at least once a week. Chillingly, 750,000 teenagers believe things are so bad that they have ‘nothing to live for’. The report also notes that the number of calls to ChildLine about online bullying, suicidal thoughts and self-harm have soared in recent years. Public Health England suggested that parents should be particularly worried about their child’s mental health if they spend more than four hours a day in front of a screen. ‘Children who spend more time on computers, watching TV and playing video games tend to experience higher levels of emotional distress, anxiety and depression,’ it said. ‘This relationship is particularly negative among those who engage in high levels of screen use – more than four hours a day. Sites such as Facebook have been criticised because they do not have effective age verification policies to protect young children. No one is supposed to be able to join Facebook if they are under the age of 13, but the site does nothing to check the age. Campaigners say this can put them at risk of being groomed by paedophiles. The Public Health England dossier has been submitted to the Commons health select committee, which is conducting an inquiry into child and adolescent mental health in England. PHE warned that much of the cause of children’s mental health problems was down to the impact of ‘digital culture’ on the UK, with children accessing the internet not just on desktop computers but increasingly on smartphones or on tablets such as the iPad. 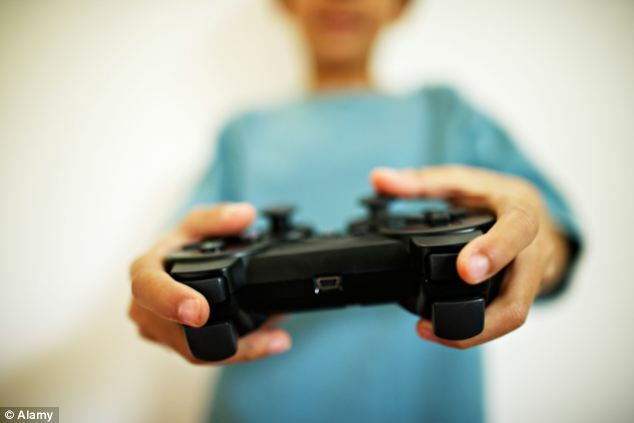 Its report notes that between 2006 and 2010 the proportion of young people playing computer games for two hours or more a night during the week increased from 42 per cent to 55 per cent among boys and 14 per cent to 20 per cent among girls. 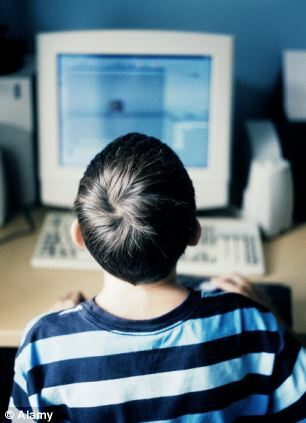 More than 85 per cent of children over 13 are now on a social networking site, such as Facebook or Twitter. ‘Increased screen time and exposure to media is associated with reduced feelings of social acceptance, and increased feelings of loneliness, contact problems and aggression,’ it said. The report suggests that children’s mental health has been getting worse in recent years. ‘One fifth report poor wellbeing and there are important differences for different groups and ages of children and young people,’ it said. In a separate report, the Children’s Commissioner for England said social media sites were ‘targeting’ vulnerable young people and exposing them to the dangers of sexual exploitation. Dr Maggie Atkinson also highlighted a surge in the number of under-18s being admitted to adult psychiatric wards.